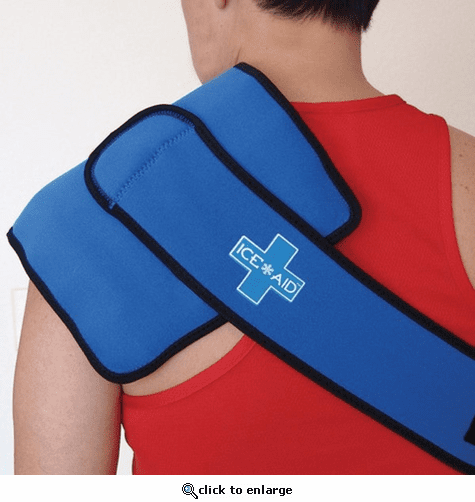 NEOWRAP 3-IN-1 HOT/COLD THERAPY WRAP by Icy-Cools. Roll-n-Go design: Roll up the neoprene, insulate the ice mat, take it with you, ice up to 6 hours later! Great flexible, portable icing and heating solution. 48" long total length stretches up to 52" waist. Built-in Insulation provides TWO temperatures - one 10 degrees warmer/colder than the other side. This feature is patent pending and unique to Icy Cools. Therapy wrap designed in USA, made in China. Hot/Cold mat Made in USA. Additional hot/cold mats sold separately to extend cooling time or for backup heating/cooling therapy.